As the world of work changes not just the work people do, but how they do it, it’s time to also challenge the idea of career planning as it was once seen. Those entering the workforce today will have 17 different jobs, and five different careers, but such change isn’t limited to new workforce entrants. The workforce of today and tomorrow demands a different type of career planning to stay competitive. Genpact’s 2017 research found that only a quarter of people are concerned about AI’s impact on the workforce right now; rather they are more concerned about what it means for their children or later generations. However, research from multiple sources has highlighted the impact that AI and robotics will have on the type of jobs available, and the skills required. For example, the World Economic Forum’s Future of Jobs report found that 35 per cent of core skills will change between 2015 and 2020. This disconnect between what’s happening and the willingness of people to accept and get ready for it, is the classic human behavioural trait of ignoring the change and thinking (or perhaps hoping) it will go away. The rapid breadth and pace of technological change is creating totally new working environments and opportunities. At the same time, with borderless teams, co-working spaces, and the increasing rise of the gig economy, careers these days are fluid, flexible, organic and adaptive – taking a degree of reinvention at points throughout a person’s career life-cycle. Gone is the notion of an organisation for life. Gone is the notion of one role type or function for life. Making the new rules of work, work for a person, rather than against them requires deliberate planning and action. The old career rules were based on a person having a job for life or working in a few organisations and roles throughout their career. This required one role at a time, with relatively fixed hours, and the person was a ‘job taker’ – taking the job on offer, which typically had no defined end date. In this environment, career success was about linear progression. In contrast, the new career rules see people working across multiple organisations and functional areas through their career life cycle. Taking a portfolio approach, they’ll have side hustles, moonlighting and freelancing arrangements in place, potentially in tandem with other employment which is more project based. The person becomes a ‘job maker – selecting career choices that align to their lifestyle, skills, competencies and ambitions. 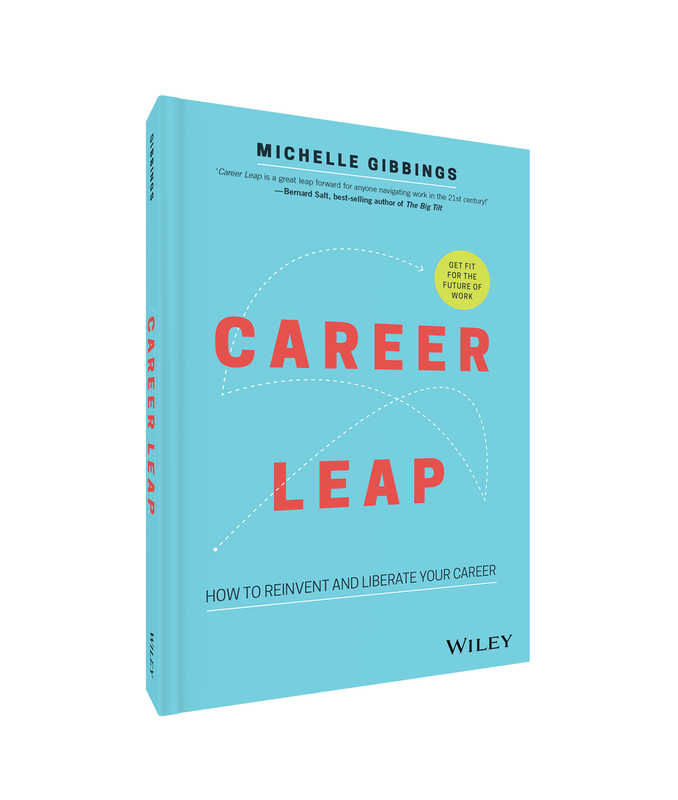 In this environment, career success is about staying ahead of the curve and being ready for career reinvention and career leaps. While his comments were referencing organisations, the same can be said for a person’s career. The work each person provides is a service, and a service, just like products on the supermarket shelves, over time can become obsolete and get replaced by something else. Something that’s bigger, better, brighter and more innovative. Just as organisations undertake scenario planning to help them investigate and plan for potential changes and risks, so too should individuals. For example, PWC outlined four potential future of work scenarios based on the way people and organisations focus on collective or individual needs and gain, and operate in an integrated or fragmented manner. Using such scenarios or others, individuals should look ahead and examine where their industry and occupation is heading, and how far they need to pivot and adapt, and whether it’s time to leap into a new direction. This will often require a shift in how people see the nature of their work. In the past, the concept of a portfolio career was seen as something that someone does towards the latter half of their career. However, today, it equally applies to people early on or mid-way through their career. In fact, US figures report that more than half millennials have a side hustle. Having a portfolio career requires people to have a more active, flexible and engaging approach to their career, where they are ready and equipped to embrace change at any moment, and intent on designing and orchestrating their own career life-cycle.